Kittens meowing is one of the cutest cat sounds! But can they recognize their mother’s meows from other cat meows? Why are kitten meowing sounds so squeaky? 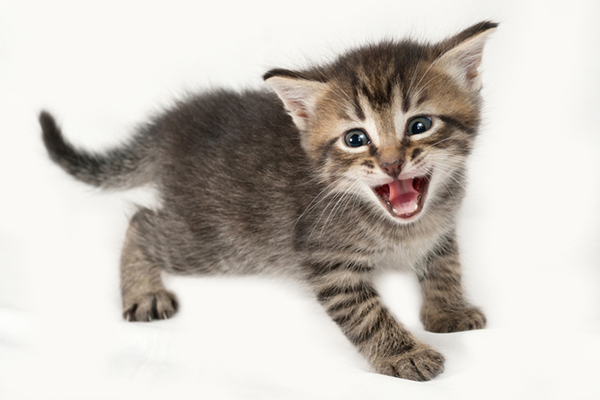 It’s one of our favorite cat sounds: the high-pitched, squeaky “mew” of kittens meowing. That squeal is so adorable and “Awww”-inspiring that we almost wouldn’t mind if it woke us up from a nap. And, like human babies, those pint-sized kittens can have some loud, impressive pipes! Let’s look at some videos to hear some of those adorable kitten meowing sounds — and find out more about what they mean! Kittens meow to communicate with their mother cats. Photography by Mahlebashieva/Thinkstock. Kittens are born with their ears and eyes sealed shut, but they can feel the vibrations of their mother’s purrs, says Amy Shojai, a Texas-based certified animal behavior consultant and author of pet books, including Complete Kitten Care. The kittens can exercise their vocal cords and meow from birth, but they usually begin experimenting with vocalizations once they start to toddle around and explore their world. Felines are vocal animals, and they start “talking” as babies as a way of communicating with their mothers and littermates, says Marilyn Krieger, aka The Cat Coach, a certified cat behavior consultant in the San Francisco Bay Area. Kittens meowing serves the same purpose as a human baby cry: It makes a demand and gets mom’s attention. 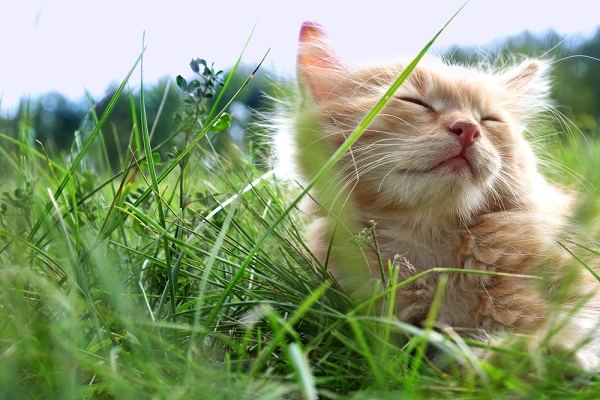 Outside of meowing, kittens communicate with their mothers via purring, touch, body language and scents. 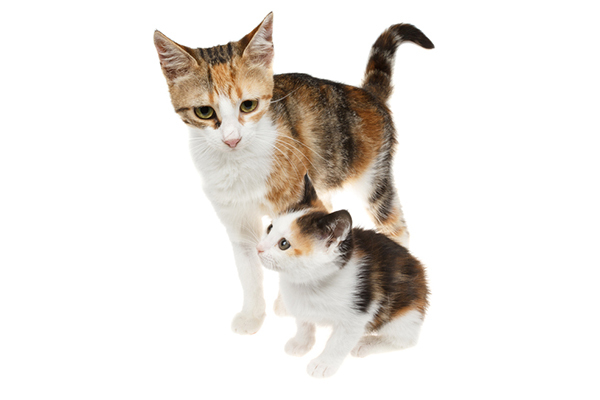 Yes, kittens can recognize their mother’s specific meows. Photography ©annadarzy | Thinkstock. Acoustic communication between cat mothers and kittens works both ways. Moms interact with their kittens vocally, too, and kittens get very attached to their mom’s sound. A study published in 2016 in Developmental Psychobiology, a peer-reviewed science journal, found that kittens who listened to playbacks of greeting “chirps” and meows from both their own mothers and stranger cats reacted much more strongly to their own moms’ vocalizations. Kittens tend to take after their mothers vocally, Shojai says, and cats have varying personalities, often based on breed. A Siamese mother and her kittens may be more talkative, while a Chartreux mom and her litter may be quieter. Why do kittens meowing sound so squeaky? For many kittens, the baby-size meow sounds a bit like a squeaker toy. Physically, this sound results from the size of the kitten’s body — smaller than that of the more alto-voiced adult cat — along with the immaturity of the larynx, mouth and sinus spaces, and vocal chords. These body conditions produce meows that are softer, higher-pitched and often shorter in length, Shojai says. As the kitten matures, so does his voice, just like a growing human’s voice deepens. 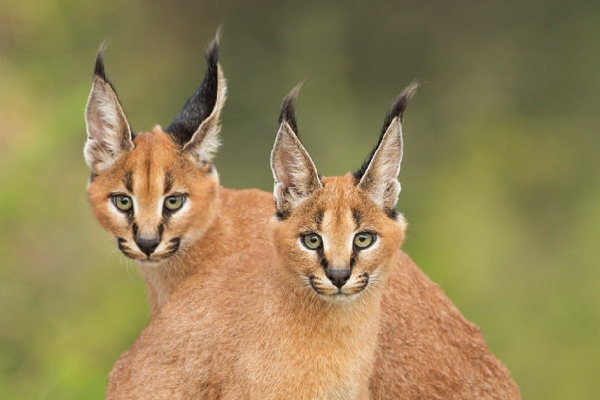 However, curiously, some cats retain their kitten squeak well into adulthood, Shojai says. Typically, though, felines will produce an adult-sounding cat meow — with a lower pitch and longer range — between about 9 and 14 months of age, when they reach full physical size. It’s not just mama cats that kittens communicate with when they meow. When kittens start interacting with their siblings after several weeks, they learn important social skills and boundaries through their meows, Krieger says. As kittens mature, they learn that their meowing works on humans the way it does with their mothers (think of those “Feed me!” meows, and watch the video above!). Both adult cats and savvy kittens use meows mostly to communicate with humans, rather than with each other, Shojai says. 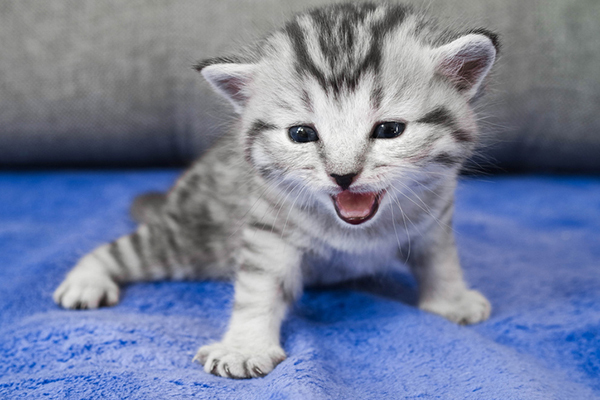 Tell us: What do you love about kittens meowing? 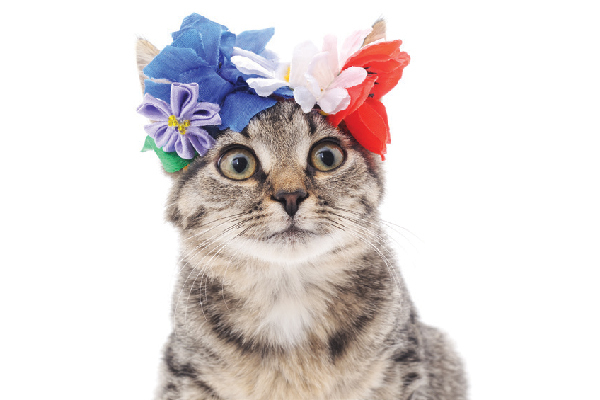 What did your cat’s meow sound like when she was a kitten? When did your cat grow into her adult meow? Thumbnail: Photography ©AlinaMaksimova | Thinkstock. I am a CCL (Certified Cat Lover) with six indoor cats and many outsiders. One of the ferals gave birth 9-10 days ago in my mudroom.. The mom and brood of 5 are enjoying the five-star service I am giving them (food and water delivered to their birthing house, lots of singing and kitty sitting when Mom goes to stretch her legs. Of the five babies, only three meow. I see the others open their mouths when I come to check on them. They make all of the motions of meowing but nothing comes out. Is this normal? If so, when should I expect to hear the entire choir singing “Midnight”? If not, is there anything that can be done for them? The loudest meows you will ever hear are from fighting cats! They are the loudest of all. I Love Everything About Cats! Those videos were so cute, I miss the days when my 3 cats were kittens but fully-grown cats are just as wonderful. When you first wake up, and they all meow at your and rub against your legs, it’s a perfect start to the day. Cats can be picky and cranky, so I always appreciate when they do things like that to make you feel loved, and I always want them to feel the same love back from me. My cats meow at each other, especially when they are playing. I’m sure I read somewhere recently on this site that cats only meow to communicate with us humans. They don’t meow amongst themselves. The report was based on the fact that feral cats had been observed in the wild with no humans around (that they knew about) and the feral cats didn’t meow amongst themselves. But this post says cats communicate with littermates and their mothers by meowing. Now I’m confused. Please tell me which is true. Both are accurate. The kittens mew to their littermates and their mother because they don’t know any other way to convey messages. 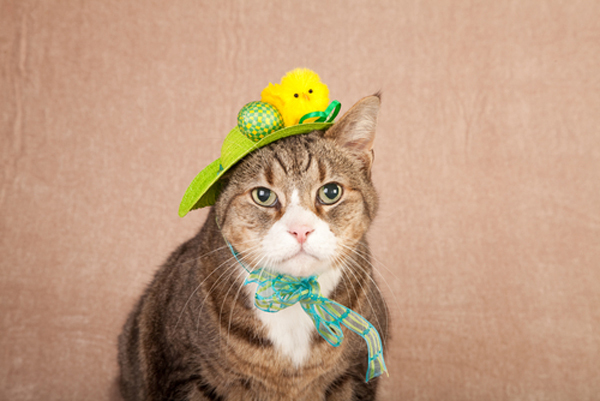 The reason adult cats don’t meow to each other is because they are aware of how to communicate through body language. Cats meow to us since they know that we can’t understand their body language signs. I hope this helps!